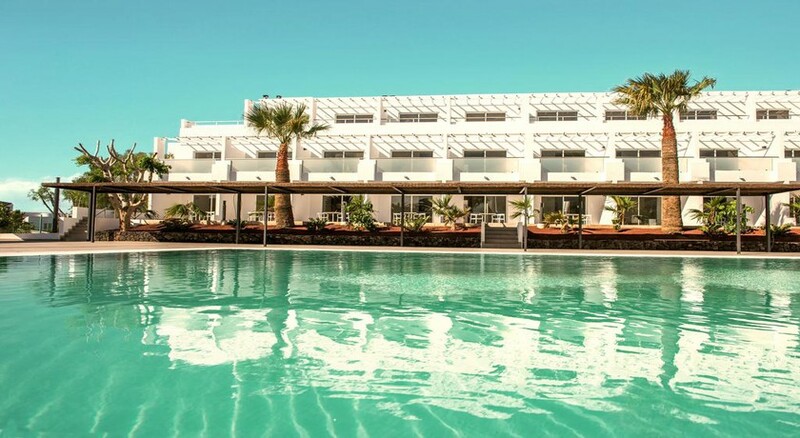 SENTIDO Aequora Lanzarote Suites (Thb Don Paco Castilla) is an apartment style family resort located around 800 metres from Playa de los Pocillos, one of the most famous beaches in Puerto del Carmen. 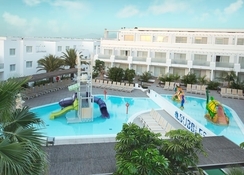 Aequora Lanzarote Suites welcomes families with its broad range of facilities, including a saltwater swimming pool, sun terrace, restaurants, cafes and entertainment venues. There are many facilities for children, including kids’ club, playgrounds and sports’ amenities. Premium services available at Aequora Lanzarote Suites Hotel include a fitness club, aerobic classes, hot tubs, beauty therapy, foot massage and facial treatments, while a buffet-style restaurant serves international and local fare for breakfast, lunch and dinner. SENTIDO Aequora Lanzarote Suites is situated close to the centre of Casa Jose Saramago with Puerto Del Carmen city centre (5.9km). It is located around 800 metres from Playa de los Pocillos, while the distance from the Lanzarote airport is 4.9km. By car, it takes 10 minutes to reach the airport. There are 398 apartments on offer, all air-conditioned, furnished in a modern-style and have fully equipped kitchens, bathrooms, living rooms, bedrooms and a balcony or terrace with an overlook of the pool area and the park. Every apartment has wireless internet access, flat-screen television, a personal computer and an in-room safe. Bedrooms feature a double bed and a sofa bed, while bathrooms are equipped with towels, hairdryer and soft bathrobes for comforting the guests. The bathrooms also have toilet raisers for the disabled. Apartments at SENTIDO Aequora Lanzarote Suites are fully equipped with self-catering kitchen amenities, allowing guests to cook for themselves. Additionally, guests can also enjoy delicious meals at local restaurants and bars at Puerto Del Carmen. The all-inclusive package offered by the hotel includes energetic breakfast, lunch and dinner in buffet style at the hotel’s own Latino restaurant. Snacks are also available all day and the guests can enjoy tea or coffee with cake. The pool bar serves cocktails and refreshments. Wine and Beer are also served with meals. There are four swimming pools at SENTIDO Aequora Lanzarote Suites with a separate section for children. At night, guests can enjoy the comfort of heated pools. The hotel provides free sunbeds for all guests. Those who love sports can head towards the tennis courts, play volleyball and table tennis. The hotel also offers services such as pedicure, beauty therapies and back massages for relaxation. There is lots of fun and entertainment for children. They can participate in different games including mini-disco. For adults, there are aerobics classes, aqua fitness, fitness club, musical events, magic shows and lots more.